Seven years and running! Fortunately, oysters do not have legs, so you can easily catch and consume them to your hearts content! We all know that these delectable bivalves can be consumed year-round, but there is just something about a crisp, Fall day that screams, “I’ve gotta have some oysters”. And that is where this all comes together – you can support the Climbers of Jacob’s Ladder by joining us at the 7th Annual Oyster Tasting at Locklies Marina in Topping, Virginia. 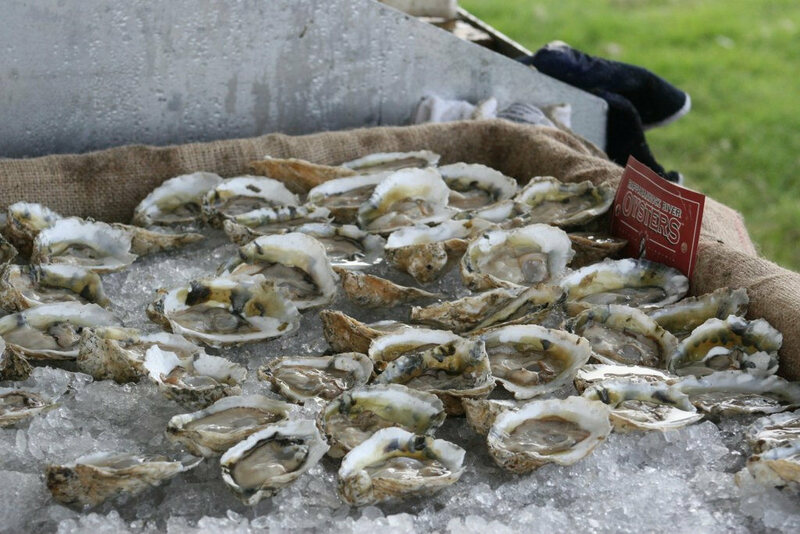 Hosted again this year by Rappahannock River Oyster Company, this years’ tasting features the salty Old Salts, award-winning Rappahannocks, and succulent Stingray oysters paired with delicious craft beers and wines, some tasty stew, and music by local artists Out on a Limb! Welcome, Revere Gas and Lawyers Title/Middle Peninsula – Northern Neck Agency, Inc. to the Jacob’s Ladder family and thank you for your support. Tickets will be $75 per person online or at the door. Tickets are available now, and we look forward to seeing you on September 24th at Merroir!